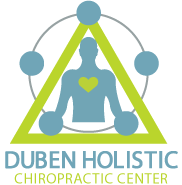 The Duben Holistic Chiropractic Center treats the whole person, with special emphasis on the physical problems that lead to pain and impaired movement. We do a comprehensive analysis of all the factors that are involved in maintaining good condition, such as structural problems, emotional stress and nutritional deficiencies that can play a part in poor health. Your Thousand Oaks chiropractor can implement these and other techniques to design an individualized program to suit your needs, to reduce stress, improve your physical function and enhance your general sense of health and well-being. Are you suffering from health problems that just won't go away? In the gentlest way possible, he uses the tools of Applied Kinesiology to uncover imbalances in your body that are affecting your overall health and well being. With the persistence you'd expect from a high-level athlete, he keeps searching, going beyond symptoms until he's satisfied he has found the root cause of your problem. Using precise movements, he releases the blockages that are damaging the physical or chemical structure of your body or influencing your emotional state. The Duben Holistic Chiropractic Center offers traditional chiropractic techniques to correct spinal problems and relieve pressure on nerves that can lead to chronic pain conditions. We use manual adjustment, laser therapy, spinal decompression and other modalities to help conditions such as back pain, neck pain, sports injuries, work injuries, auto accident injuries, sciatica, arthritis, fibromyalgia and other problems. The essence of chiropractic care is ensuring that the primary structures of the body are in balance and are functioning properly. 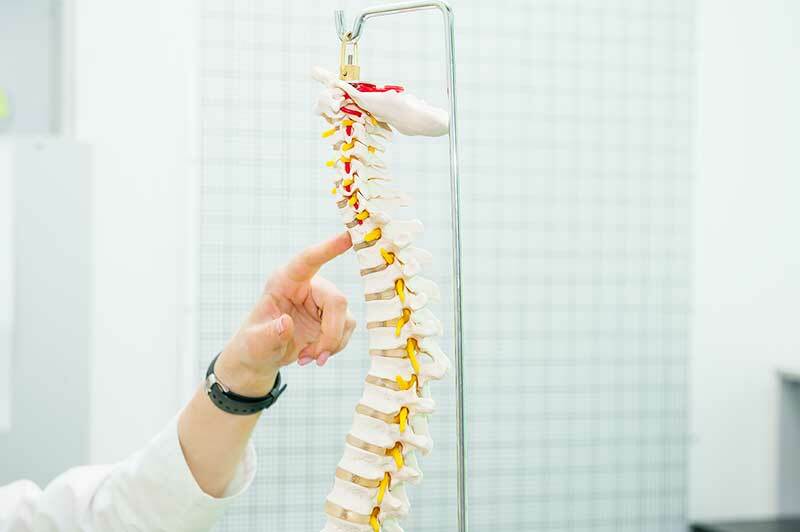 Regular spinal and postural screenings detect the small changes in spinal alignment that can compress nerves and impair normal function. Duben Holistic Chiropractic Center also uses corrective exercises to strengthen supportive muscles to improve physical function. Combined with spinal re-alignment, these exercises can help to relieve pressure on nerves, improve flexibility, extend range-of-motion and reduce strain. Current research indicates that good nutrition is a critical part of maintaining good health. The Duben Holistic Chiropractic Center offers nutritional analysis, dietary counseling and 21-day purification cleanse, designed to re-calibrate your health on a seasonal basis. Morphogenic field technique is used to detect nutritional deficiencies that affect energy, stress levels, and normal physical function. This technique analyzes the energy field that emanates inside and outside the body, to detect nutritional problems that affect health and function. When deficiencies are found, they can be corrected with appropriate nutritional therapies. A critical part of restoring health is learning to create an environment that allows you to function at your best. Ergonomic changes can help to prevent further injury and aid healing of affected muscles, tendons, ligaments and soft tissues. Improving physical strength can help to maintain good function and allow patients to maximize their ability to perform tasks for work and for play. Kinesiology is the study of body movement. At the Duben Holistic Chiropractic Center, we are dedicated to analyzing problems within the structures of the body in order to improve the efficiency of movement by “muscle testing.” The manipulation of key points in the body can help to treat structural deficiencies, emotional issues and nutritional problems that affect everyday function. Duben Holistic Chiropractic Center also uses Neuro-Emotional Technique (NET) to release the blockage of energy in the body that can lead to poor function and disease in the human body. With a combination of chiropractic manipulation of structures and release of stress in the pressure points, patients can undo the effects of stress and emotional trauma that is routinely stored in the body. Dr. Duben, Dr. Erickson and the trained staff at Duben Holistic Chiropractic Center are proud to provide the highest quality chiropractic care for their patients in Thousand Oaks, CA and surrounding areas. We offer a broad range of services and a whole-person approach to care to ensure your health and well-being. We treat back pain, neck pain, auto accident injuries, sports injuries, work-related injuries, arthritis, fibromyalgia, headaches, pediatric problems and pregnancy-related issues. Contact Duben Holistic Chiropractic Center today at 805-468-4437 for an appointment to learn more about the techniques that can improve your health and help you feel your best.